That’s one problem for the messaging service as it gets ready to go public. It’s popular, but not a must-have for companies. Another issue is its current $7 bln private-market valuation. Based on other high-flying software firms, it’s only worth just over half that amount. The Slack app logo is seen on a smartphone in this picture illustration taken September 15, 2017. 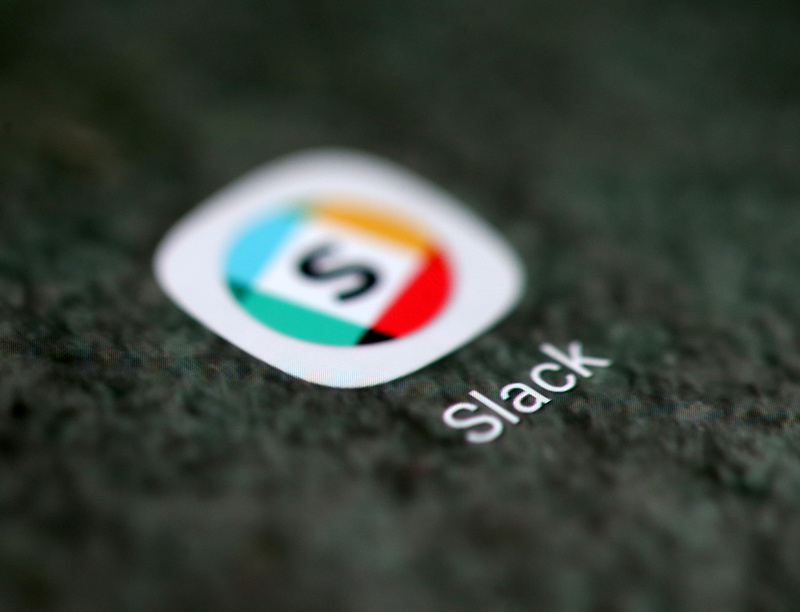 Slack Technologies is “seriously” considering going public through a direct listing, a source familiar with the matter told Reuters on Jan. 11. The popular workplace-messaging and collaboration service raised $427 million in August, giving it a post-money valuation of more than $7.1 billion, the company said.